SEMINAR ON PROCESS SAFETY AT 11:00 AM ON 23.9.16 AT CoE, VAPI Vapi Industrial Estate is experiencing continuous industrial growth. Our industries members are reaching new heights in terms of products, production, turnovers and market capitalization. Many of our members have grown from small scale units to Large Corporate Houses with multiple units in this estate and in other areas. With this rapid growth the infrastructure and manpower has also grown in many folds. Adequate safety and security arrangements need to be made for them to safeguard sustainable growth. 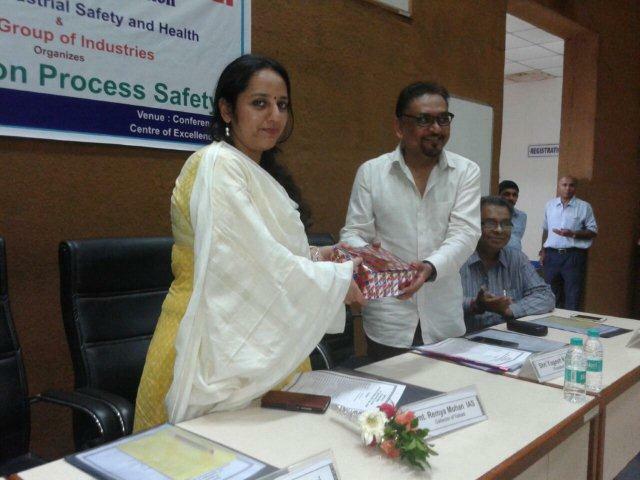 A seminar on Process Safety was organized at 11:00 am on 23rd September 2016 at the Conference Hall of Centre of Excellence, GIDC, Vapi jointly with Director of Industrial Safety & Health and Aarti Industries Ltd. with an aim to explain safety laps which occurs during various process at industrial units and the ways and means eliminate such fallouts to maintain safety at the industrial units. 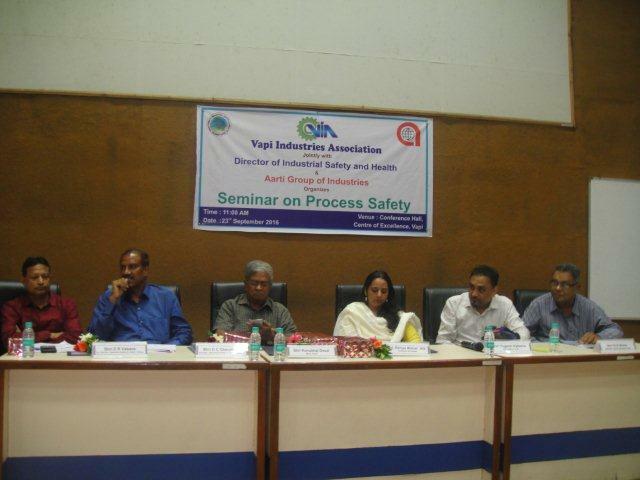 Eminent speakers – Shri Vijay Chandratre, VP – Process Safety, Aarti Industries Ltd., Shri Shri Shyam Dhekekar, Asst. 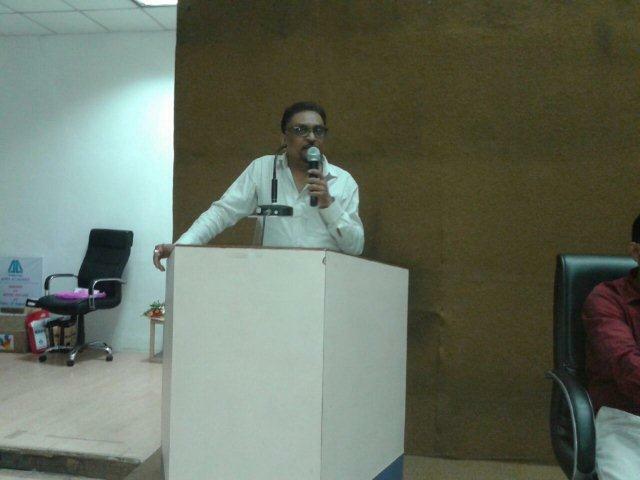 VP – Safety & Technical, Aarti Industries Ltd. gave presentation on Process Safety techniques. The Hon’ble Collector of Valsad Smt. Remya Mohan IAS, Shri Kanubhai Desai, MLA, Pardi, Shri D C Choudhary, Director of Industrial Safety & Health, Gujarat, Shri D K Vasava, Dy. Director, DISH, Valsad, Shri Yogeshbhai Kabaria, President, VIA, Shri Parthivbhai Mehta, Hon. Secretary, VIA, Shri Kiritbhai Mehta, Director, Aarti Industries Ltd. and Shri Kiritbhai Shastri, Aarti Industries Ltd. was present during the seminar. 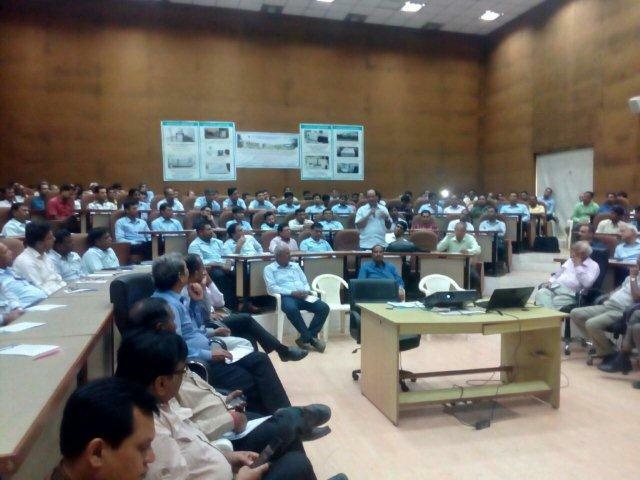 The program was well attended by executive committee members & members of VIA and safety personnel from the industries.